It’s been a long time coming, but it is finally COIN’s time. The indie-pop band formed in 2012 and has been working toward an alternative music scene takeover ever since. With their second full-length album released earlier this year, COIN is working toward real success. Similar to the sound of Neon Trees, COIN relies on heavy synth-based sounds hidden beneath their bright, pop lyrics and indie-alternative instrumentals. COIN’s second album How Will You Know If You Never Try was released in April of this year and features their biggest song to date “Talk Too Much”, which reached number eight on the U.S. Top Alternative Billboard chart and number 16 on the U.S. Rock Airplay chart. HWYKIYNT features 13 original tracks including dance tracks like “I Don’t Wanna Dance” and ballads like “Malibu 1992”. The band is made up of four friends: Chase Lawrence, Ryan Winnen, Joe Memmel, and Zach Dyke. While studying at music intensive school Belmont University in Nashville, the guys began to write and record music together. Obviously after they began to play live shows, an eager fan base began to build around the hipster boys, encouraging more live performances and feel-good music. The boys sprung to fame in 2015 when their single “Run”, from their first self-titled album, earned them one of Alternative Press’s 100 Bands You Need To Know and landed on Billboard’s Heatseekers chart. 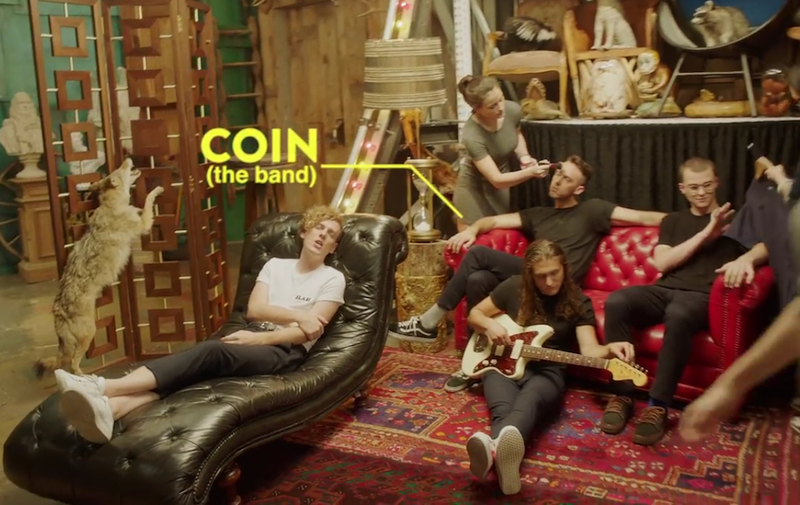 COIN is no stranger to live performances. The band has been touring around the U.S. and Canada since their first album dropped in 2015. This year, you can catch them on the road at some of your favorite festivals, including High & Low Fest, Life Is Beautiful, and Austin City Limits Festival. Want more COIN? Keep up with the band on Facebook, Twitter, and Instagram for their latest music news, tour dates, and more!